A few weeks ago we headed down to Baltimore Inner Harbor in Maryland for a weekend of fun! We have been to Baltimore a few times and were looking forward to visiting again. If you have never been there, we highly recommend that you add it to your travel bucket list as there are a lot of fun things to see & do while visiting. 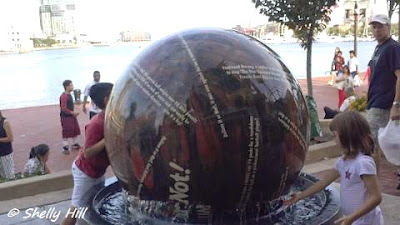 During this particular visit we headed to the Ripley's Believe It or Not which sits right in Inner Harbor. There are a lot of eateries and shopping nearby...so plan to spend an afternoon while there. We had to pay for parking ($5.00) and walk down to the place which sat a few blocks away from the parking area. Ripley's Believe It or Not offers several different attractions. They have the: Marvelous Mirror Maze, 4D Moving Theater and the Odditorium. You can buy tickets there or purchase them online. We recommend buying them online to save you some time. Prices range from $12.99 to $17.99 per attraction or get a discount when purchasing & combining multiple attractions for the same day. 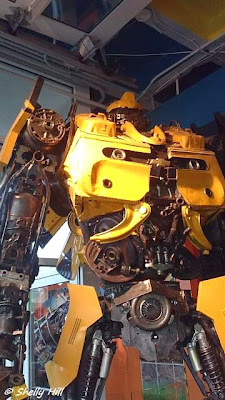 One of the cool things we saw on the day that we visited was this very cool Transformer made out of spare car parts! Seriously, it's pretty cool when you see it up close and personal. It was one of my hubby's favorite things to see because he is a car buff! Wow, can you imagine the hours it took to build that thing? 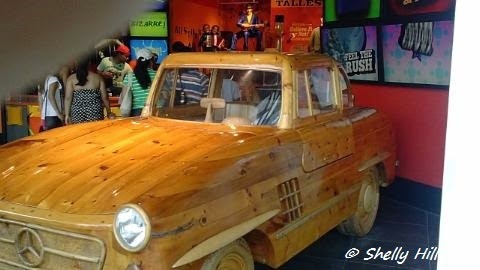 Another cool thing that they had was this stunning car made out of wood. Hubby was pretty impressed with that too and walked all around it checking it out. It is amazing that those doors really open and those headlights really do light up at night! Oh...check out those wheels too! Hubby would love to add that to his car collection someday for sure! I have to admit, I thought it was pretty cool too! We did the Marvelous Mirror Maze attraction too which was a lot of fun! Expensive...but fun! That took us about 20 minutes or so to do. If you have very little kids...I would avoid it as there were tiny kids in there clowning around which irritated some of the adults that were there. 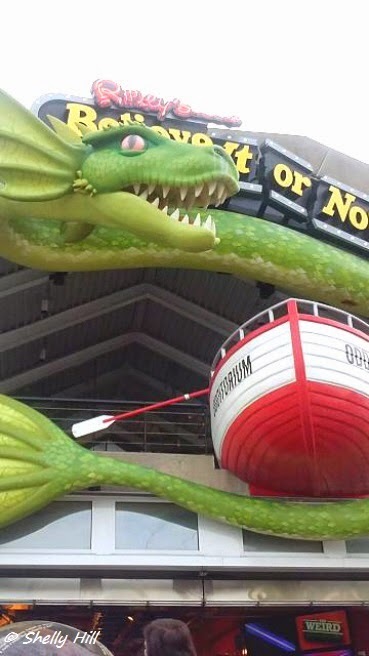 Ripley's Believe It or Not is open 365 days a year. If you are in the military, they do offer military discounts and they do have group rates for groups with 10 or more people. We had a great time and will definitely be visiting again the next time we visit the Baltimore area. We highly recommend it!